As artificial intelligence develops, Deep learning becomes one of the hottest industries in the field of computer science. Due to the development of science, technology, and the internet, the demand for the intellectual exploitation from huge data sources is growing. Currently, artificial intelligence (AI) is the development trend of the world, and Machine learning is one of the important areas of AI born to exploit this huge data. Machine learning is a program that runs on an artificial neural network, capable of training computers “to learn” from a large amount of data provided to solve specific problems. For example, if you want to teach the robots how to go from one place to another to show the way to others, in the traditional way, you will give it a series of instructions to look left and right or avoid people passing by, to choose the best and shortest way to go, etc. When using Machine learning, you will let the robots see tens of thousands of videos that show people walking and tens of thousands of videos showing someone colliding so that they can learn by themselves. The hardest part is making computers understand these videos from the beginning. In order to make Machine learning become more effective and efficient, Deep Learning was born. Deep learning will help robots learn quickly, thoroughly and apply more accurately. Inspired by the biological brain, deep learning models build algorithms that help the machine think and process data as the human brain does. 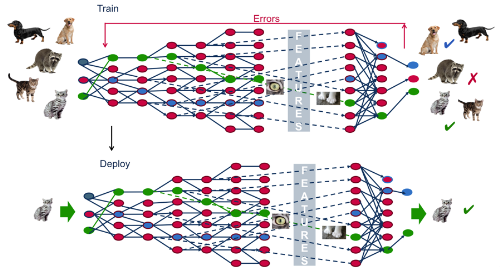 Thanks to having more artificial neural layers than Machine learning does, Deep learning will be able to self-learn and identify many problems with much more complex levels. Deep learning allows computers to automatically understand, process and learn from data to perform assigned tasks, as well as evaluating measures in order to increase efficiency. 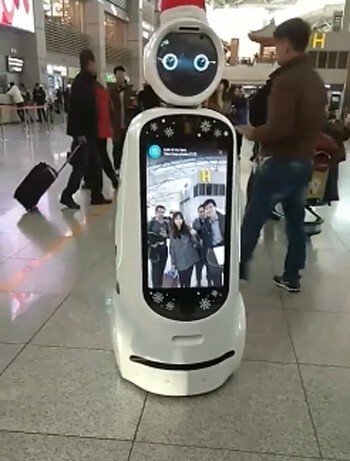 For example, a navigation robot at Incheon Airport (South Korea) can change the speed on the way, and know how to stop to avoid people coming, how to choose the part of the road that few people pass by as well as how to change the smiley face when the companion wants to take a selfie photo. Navigation robot at Incheon airport, South Korea. Another example is when you teach the computer to recognize an image of a beautiful woman — an abstract concept. We will program many layers in the artificial neural network, and each of them is able to identify a specific feature of the beauty such as eyes, mouth, nose, bust/waist/hip measurements, etc., then show the machine tens of thousands of pictures of beautiful people (indicates that “This is a beautiful woman”) as well as hundreds of thousands of photos of different subjects (indicating that “This is not a beautiful woman”). When this artificial neural network watched all the pictures, its layers will gradually recognize the characteristics and know which layer is important, or which is not in order to itself define the concept of a beautiful woman. It will also recognize that a beautiful woman is a human being and a woman, so when it comes to identifying a beautiful woman, it will filter women’s images, including other features such as facial proportions, standard body measurements, etc. The deep learning models and algorithms are increasingly developing and applied widely in practice to minimize the labor power of humans. It is easy to come across deep learning applications such as games, image processing applications on the social network, decision-making support on the news and shopping websites, as well as virtual assistants of large groups like Microsoft, Google, Apple, etc. Specifically, they using data users generated to suggest additional products which they will be interested in, as well as like (on shopping platforms), advertisements/sponsored articles (on Google, Facebook, Naver, etc. ), or courses learners are interested in (on online learning platforms such as Funix, Coursera, etc.) and many other areas. Another major application of Deep learning is image processing technology, which is really developing and promises great potential. Facebook’s image recognition technology is an example. Although the photos are taken at different angles, Facebook still can recognize the image and give precise suggestions for users to tag their friends with photos. 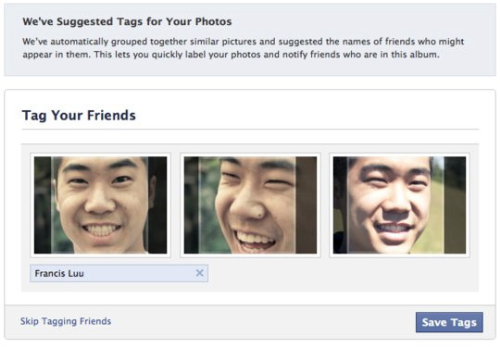 Facebook automatically recognizes faces on photos. This technology is also applied to the criminal science and investigation or included in public camera applications in many countries to manage public security. For example, in Korea or China, the security camera system here will accurately identify everyone’s face no matter what angle. You can believe in public security because the security system knows exactly each face on the road. Deep learning is also applied in many areas of health, especially in the biomedical field. IBM’s Watson artificial intelligence can identify leukemia which is rare in humans in about ten minutes while doctors cannot find it. To do this, Watson compared the patient’s genome to more than 20 million other research results. Currently, with the potential of this technology, large technology corporations in the world such as Google, Apple, Tencent, Hanwa, etc. always prioritize startups about robots and deep learning. Scale studies from these large corporations are creating increasingly from breakthrough technologies, such as virtual assistants like Siri, Google Assitant, robot butlers, self-propelled vehicle systems, etc. to the development of new materials helping robots understand the world around them, and studies of shortening the trajectory of spaceships, etc. Deep learning is increasingly showing a promising future. The ability to analyze large data and use deep learning into computer systems makes computers adapt themselves to what they receive without the need for programming from human hands. That progress will quickly pave the way for many future breakthroughs in artificial intelligence.